I am concerned about our beautiful islands of Hawaii. Did you know that Hawaii is home to 319 threatened and endangered plants? 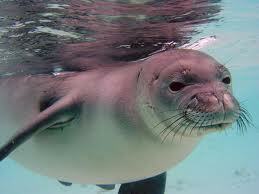 There are also endangered animals including the Hawaiian monk seal and sea turtles amongst others. Hawaii has been listed by the Endangered Species Coalition as in need of conservation. There are shallow water coral reefs which are also in danger. This report was given by the Pacific Business News recently. There are many unique birds here in Hawaii, making it one of the most desired destinations for ecotourists and birders. In fact, there are more than 100 unique birds here in these islands. 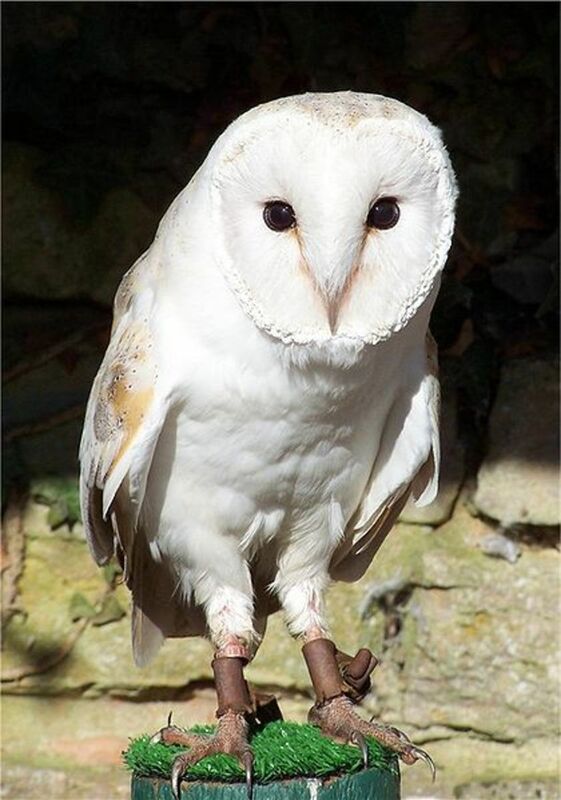 It is estimated that some 70 have already become extinct since humans first arrived. 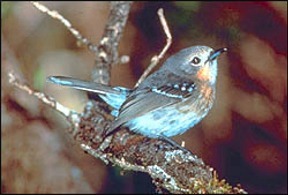 There are a few dozen honeycreepers, nesting seabirds and albatrosses. 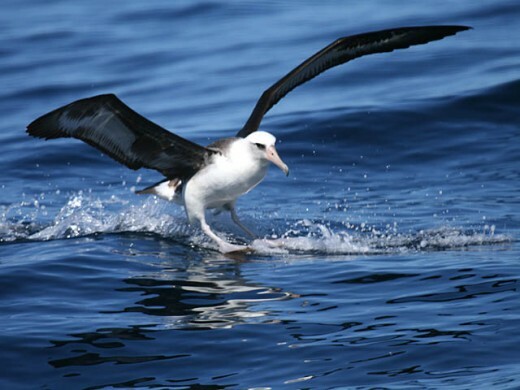 Hawaii has the largest breeding population of albatrosses (laysan) in the world. Human intervention by increased fishing, construction and agriculture in Hawaii have put many of its ecosystems in danger. Nearly ninety percent of the lowland dry forests have been destroyed. But the biggest damage is on coastal areas where population growth has seen the most growth. Everyone wants a nice ocean-view lot, right? 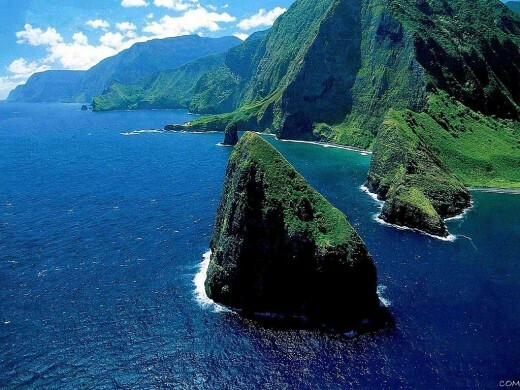 About 150 distinct ecosystems exist in Hawaii. On land, there are ecosystems including tropical rainforests, dry forests, sub-alpine grasslands and alpine deserts. Then there are tropical reefs, subterranean lava tubes, and coastal dunes and many more. It is estimated that the Hawaiian Islands were isolated from humankind for 70 million years, so there was fauna and flora found here that were nowhere else on the Earth. There were no grazing or predatory animals and no reptiles until man introduced them. Even now there is a greater effort being made to keep snakes out of Hawaii. 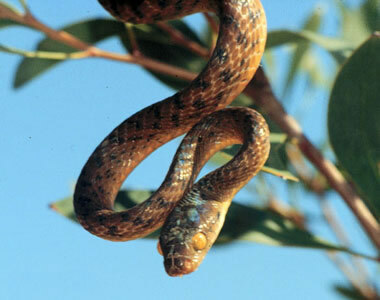 Brown Tree Snake - keep them out of Hawaii! Some conservation groups have made efforts to protect the ecosystems including military and government entities. Marine and nature reserves have been established. There is an effort to remove invasive plants and re-establish native plants by the Navy. 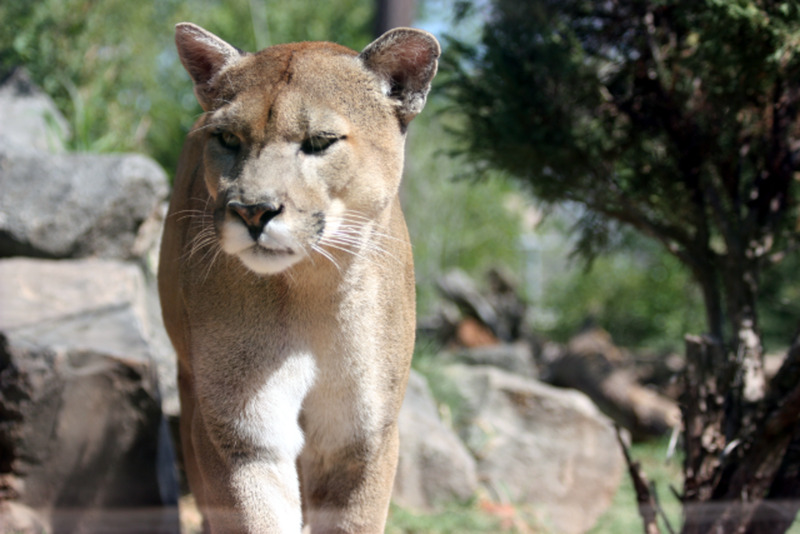 Even then, with Hawaii taking up only 0.2 percent of the land in the United States, it has over 25 percent of the current US endangered species. And, over 75 percent of the US extinctions occurred here. Those are not good statistics. Tourists and residents occasionally try to smuggle in illegal aliens including wolves, iguanas, alligators, piranhas, wallabies, parrots, African dartfrogs, snakes. The Brown Tree Snake is a native of New Guinea and has caused much damage in Guam when it was illegally introduced there. They somehow arrived here, perhaps on the wheel wells of jets. Our native birds would have no defenses against them if they were to rise in population. 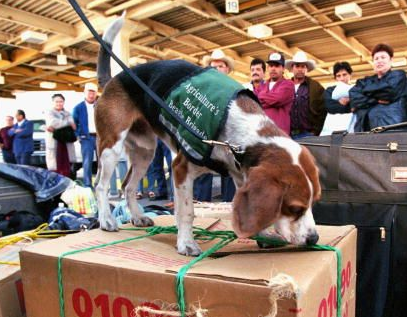 They have trained dogs (Beagle Brigade) to sniff out snakes and other plant and animal pests. Fines of $200,00 and three years in jail is the penalty for bringing a snake into Hawaii. 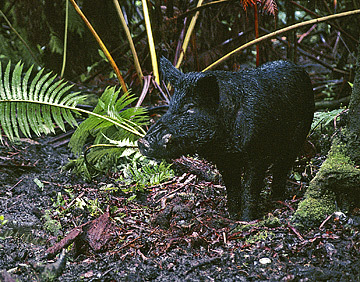 Besides land development, the most destructive force in Hawaii's native forests is feral pigs. Polynesians brought pigs to the islands around 400 A.D. These pigs multiply rapidly and have overgrazed rain forests. The spread plant invaders and create mud holes in which mosquitos thrive. The mosquitos spread avian malaria or bird pox that kills the native honeycreepers. An ecosystem is a balanced interaction of animals, plants and the environment. The balance can be easily upset by intervention by alien species. Education is key so that we can continue to enjoy the beauty of Hawaii with all of the various ecosystems intact. Thanks so much klaraieck. Education can help and your comments are a step in the right direction. I hope more people become aware and diligent in conserving the great earth we have. I loved this article Elayne. We have a our hands full right here in South Florida trying to save the Everglades as well. People have released a lot of pythons that have grown too big for them to take care of, and those huge snakes are eating all the wildlife, including the smaller alligators. It's so sad to see that there are people who don't take their human responsibility seriously. Thanks for the hub! Thank you Cindy2011 for your comments. I am glad that you are supportive of efforts to conserve the environment in Hawaii. It is a constant struggle to preserve what we have, but if we all work together, it will be much easier. Not sure about the plant research projects, but I'll have to check it out. Not enough can be said about these issues. Thanks for taking the time to bring us current with what is happening in Hawaii. Even though I don't live there, it has been my play ground as an outrigger paddler. Our race events have drawn attention to the potential ecological damage to shorelines that can and have been caused by the simple sport of paddling. We would not have realized this concern, if it hadn't been for the locals speaking up. I'm glad they did, as we're supportive of retaining the eco systems and want to be a part of the solution not the problem. I had once heard that Hawaii was a common choice for plant research projects, which helped in the releasing of foreign plant life. Do you know if this is true & if it is, does it still happen? Your piece is very informative. Thanks so much SUSIE DUZY - Glad you liked it. Aloha! 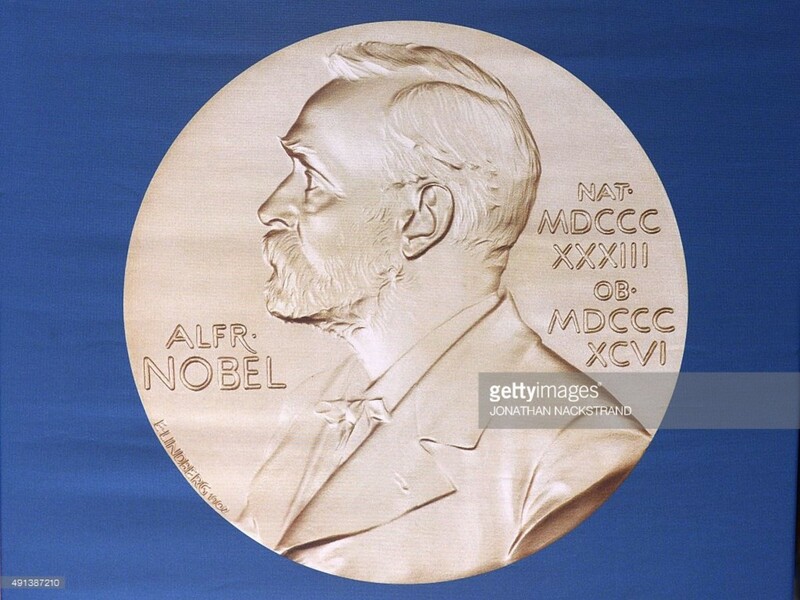 Beautiful pictures and great infomation. Me too, LianaK. We need to do all we can to help save the environment. Glad you agree. Thank you Seafarer Mama. I hope you get to bring your daughter here also. I love all the birds here. One friend from Texas came to visit and said "my the birds seem so happy here in Hawaii". I guess I sometimes just take it for granted. Working at a National Park seems like a great job to me, too. @Thys Du Plessis Glad you enjoyed my hub. It would be a very sad thing to lose what we have here in Hawaii. I have been blessed to enjoy this little paradise. @Lalulinho - They do show a video on some airlines to visitors telling them about the islands. Don't worry, you are doing the right thing for Hanauma Bay. My grandkids love going there. Thanks for the suggestion. It would help I am sure. Hopefully more will be done. Thanks for your comments. Great hub and beautiful photos, Elayne. Hawaii is such a special place (even more so to me and my wife because, um, our my daughter was, for lack of a better phrase, made there. I wanted to give her a Hawaiian name, but my wife is from Brazil, and for whatever reason names like, Keilani, etc., don't sound good in Portuguese, even if they sound beautiful to the English-speaking ear). You link to a book on Hanauma Bay, and I remember the education video that they show there. I can't but think that they should force every visiting tourist to watch in on the plane 30 minutes before landing. Hawaii is such a special place, and you hope that everyone who visits understands that. Hi Elayne. Beautiful hub, and very informative. I visited Hawaii with my mom when I was 10 years old and enjoyed my time there immensely. Would love to return with my own daughter some day. She loves nature and animals, and would be eager to see up close some of the beautiful birds there...among other creatures, and the plants. Yes, too bad the big, high-rise hotels have be be the norm on Oahu (may be true to other islands, but I have only been to Oahu, and swam at Waikiki Beach. My uncle has been to Maui. My dream job would be as an educator at a state of national park as a Park Ranger. Wonder if the new conservation movements can make that a reality. In the meantime, it is good to hear that the youth of Hawaii are getting involved in conserving and preserving the native wildlife on your islands Aloha! Thanks CMHypno. 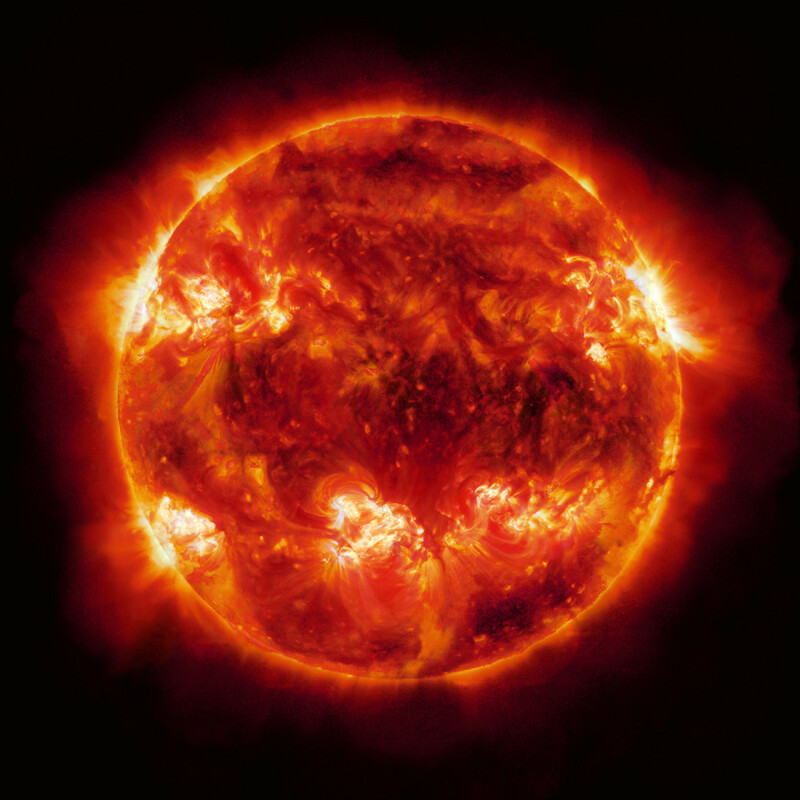 We must take care of our earth or we will not be able to survive. I appreciate your comments.